Still buzzing from yesterday's epic '500?' Awesome. Don't let the feeling die! 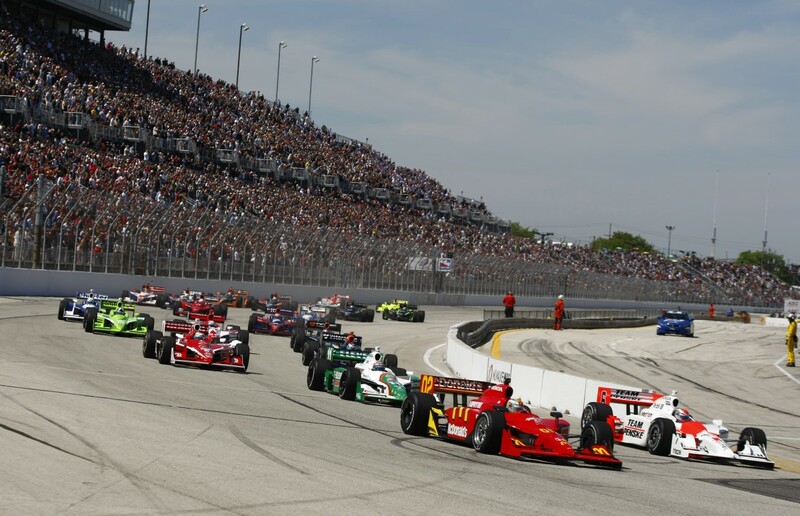 Tomorrow's IZOD IndyCar Series test at The Milwaukee Mile is open to YOU. So get to the Series' other incredibly historic venue, if you can. Deets, below. And BTW: Proper recognition to Mike and his Andretti Sports Marketing posse for the fan-friendly gesture. The teams and stars of the IZOD IndyCar Series will be in action Tuesday at the Milwaukee in a test session in advance of the Milwaukee IndyFest, June 15 and 16. The full list of teams and drivers is still being finalized following today's running of the Indianapolis 500, but fans can expect to see many of the top names in the sport testing on the one-mile oval. The grandstand area at the Milwaukee Mile will open from 9 am to 5 pm Tuesday, with concessions available and the IndyFest showcar on display. (Fans will not be able to watch from the infield, which is limited to participants only.) The Wisconsin State Fair Park box office will also be open, selling tickets for Milwaukee IndyFest, June 15 and 16. Tickets can also be purchased online at the official website: http://www.MilwaukeeIndyFest.com. This will be the first major test session on an one-mile oval for the new DW12 Dallara chassis and the new turbocharged V6 engines from Chevrolet and Honda.